3 Nov. 2016 Reading from 2 minutes. Since the month of October, Ring is officially a GNU package, following its integration into the GNU project. Distributed under the GPLv3+ license, Ring is a free software which enables communication in multiple ways between its users. It is a phone, a conference station, a platform for exchanges and media sharing, and a link for the Internet of Things, all in a world where freedom and security go hand in hand. Running on a distributed network and encrypted from end to end, Ring tries to provide to Ring users’ a high level of privacy and confidentiality. In the mid 2000s, Savoir-faire Linux has started a project called SFL Phone. The project then evolved to produce another: Ring. This shift is marked by various milestones such as the transition from SIP server to the OpenDHT distributed network in 2014, permitting decentralized communication, peer to peer mode. 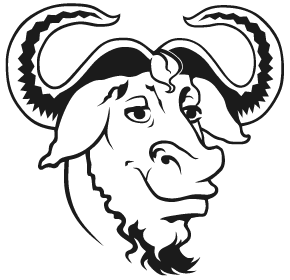 Becoming a GNU package is a new venture for the project and the free software movement. Thanks to external contributions, which are the cornerstone of the Ring project, the Savoir-faire Linux team has over several months developed a beta 2, which fits perfectly with the philosophy of free software. Beyond the code, Ring has established links between the development team and the local partner universities such as the Université du Québec à Montréal (UQÀM), Polytechnique Montréal and the École de Technologie Supérieure (ÉTS ) which is home to the Maison du Logiciel Libre (ML2). We want to thank all our contributors, all of whose assistance was greatly appreciated. Great news! Delete skype and use Ring. As a former user of SFLPhone I can tell you that I miss it greatly. I’d love to see a mode in Ring where the p2p prompt doesn’t appear, and the more elegant dialer UI is available for e.g. business desktop use. SFLPhone really was the nicest desktop Linux SIP client. Willing to discuss bounties on it. 15 Jan. 2019 Reading from 3 minutes. FOSDEM 2018: What Are the Highlights to Remember? 15 Feb. 2018 Reading from 4 minutes. Ring Universal Communication Platform Now on Android TV! 15 Nov. 2017 Reading from 3 minutes. 21 Jul. 2017 Reading from 2 minutes.